If Your Roads Are Driveable I Can Ship. Live Arrival Guaranteed! Here at Rainbow Bearded Dragons we strive to bring you the very best. Breeders are chosen for their Health, size, color and body structure . Breeders are also vet checked every year and treated if needed. 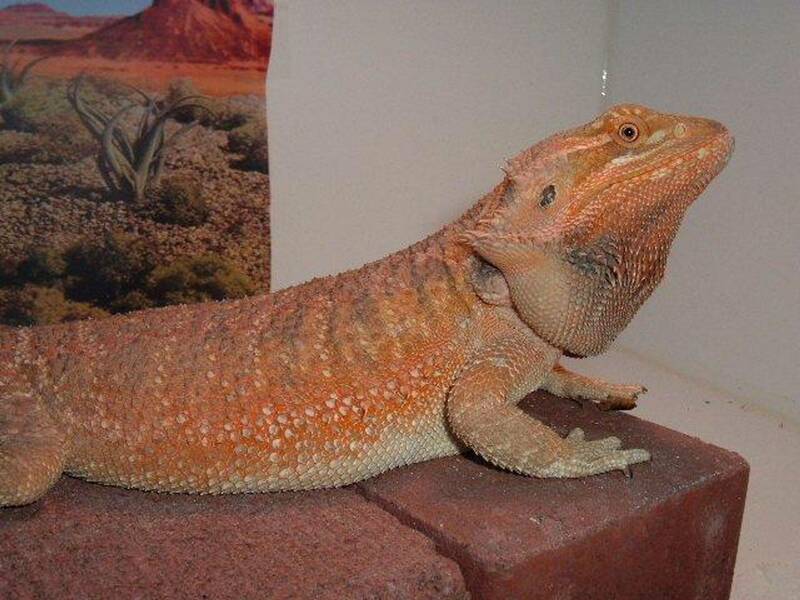 We have been breeding Bearded Dragons now for Over 16 years . I will have some new and amazing looking breeders this season , along with the popular lines I have been producing.. I will be posting them to view as the incubators start filling up..Shooting for more Italian Leather backs this season . So check back often to see what is available . I plan to produce some amazing and spectacular dragons this season. We also won the Editors Choice Bearded Dragon Breeder of the year award for 2014.Thank you Reptile Report. 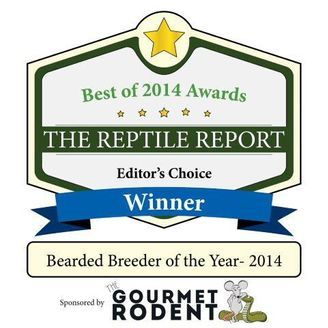 Rainbow Bearded Dragons was the WINNER in the Editor's Choice Bearded Breeder of the Year category 2014. Congratulations to Tamara for being recognized.